3D technology has come along a long way from being able to create a 3 dimensional image of the fetus to using the 3D technology in the 3D printers. These printers are being used for a variety of the reasons like printing of shoe burgers to printing the cars according to the requirements of the customer. The extent or the reach of 3D technology can be felt now when we can easily add the features and the shapes of your loved ones on the cremation urns. It might sound off or may have come as a surprise for many people, but believe it or not, Vermont-based Cremation Solutions are now offering 3D printed cremation urns which hare custom made according to the request. This cremation urn will have the image of the people you love. However, mind you, this imaging is not restricted to the people you love; you can get the image of your favorite celebrity or even Obama, the president of the United States of America. Vermont-based Cremation Solutions have come up with a unique solution for the people who are looking to honor their loved ones in a unique way and not going through the traditional metal or wooden urns, meant for storing the ashes. According to the information available on the company’s website, they are using the most modern technology to develop the urn, which will have the closest possible resemblance to the deceased one. This will be carried out by using photographs and other facial recognition software’s, which are meant to transform the 2D image into a 3D sculpture and that too with finesse. Adding to this advantage, the company also offers “erase blemishes”, to present your loved ones in the best possible look ever. According to the Company, the urn will come in two different sizes. The first size is 6-inches, meant for storing only a portion of the remains of the deceased, but the second urn comes in a size of 11 inches with the potential of holding all the remains or ashes of a deceased person. The 6-inch urn has been given the name of keepsake sized personal urn. By this time, we can clearly understand that these urns will not be easy on the pockets. The smallest size of the urn has been priced at $600 while the largest one can go up to $2600. 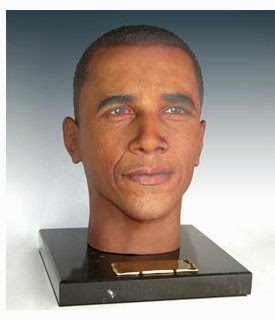 On the downside, the hair of the person has not been included but the company has stated that they can add artificial hair to give the urns a more realistic look. While it might sound strange, but a 3D printed urn clearly shows the growth in the technology. It has already been said that the world will change due to 3D technology and there will be a rise in business as more companies are focusing on matching the needs of the customers with their service. The Company has also stated that they are offering the service for not only the deceased ones, but also for a person who can make their own urns as well. People always plan their cremation to take the burden away from their family and nothing will add to their memories than the urn reminding them about you.